Torrence Pre-kindergarten school was the recipient of an Eagle Scout project designed by Matt Wyatt of Troop 43, Keokuk, Iowa. Matt is a 9th grade student at Keokuk High School, and is the son of Brian and Kim Wyatt. Matt spent 10-12 hours meeting with teachers, Eagle Scout board representatives, and others to complete this project. Matt was responsible for organizing the project, the workers and the funding to build the special sandboxes with built-in seats. The sandboxes can close and lock to keep the animals out. Matt and his troop also replaced the railroad ties around the play area, spread wood chips, and repainted nearby basketball backboards. Additional thanks go to Jill Benda and her dad Bob Tillow, also a scout leader, who helped to get the original contacts made for the project. 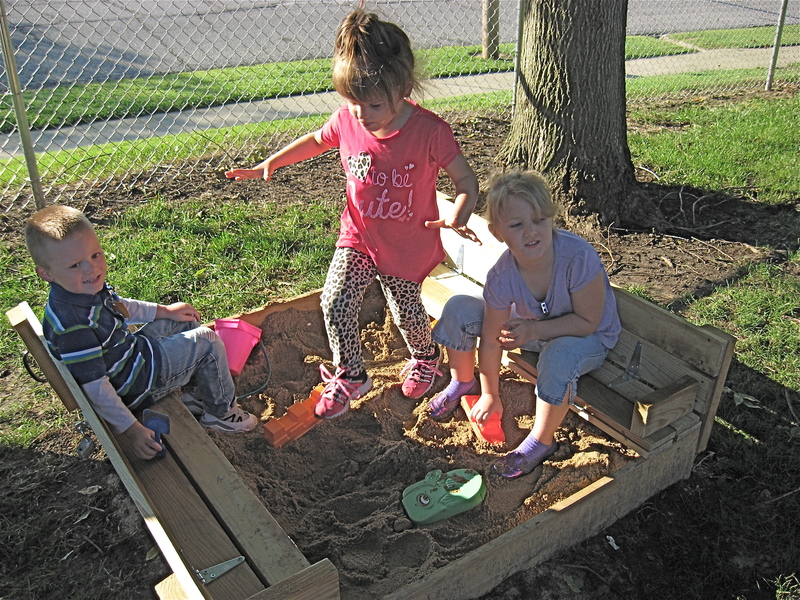 The students at Torrence Pre-kindergarten and the Developmental Preschool are really loving the sandboxes. The KCSD wants to thank Matt, his family, his troop and Scoutmaster Bill Edwards for all their work. PreK students enjoying the sandboxes installed by Matt Wyatt as part of his Eagle Scout project.